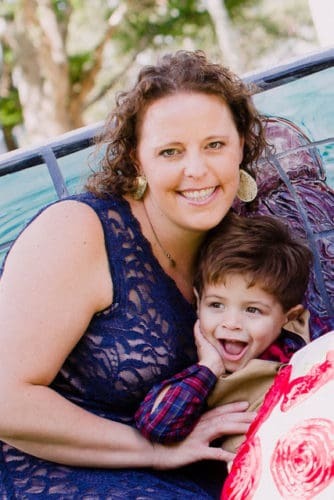 Today’s featured Modern Boca MOMpreneur is Rachel, Kittle Huerta, ARNP and Owner of Direct Primary Care in Boca Raton! I began my career as a registered nurse in one of the nation’s leading hospitals and I’m currently a National Certified Family Nurse Practitioner. As a a south Florida native, I earned my degree from Florida Atlantic University (Go Owls!). I feel very privileged to practice in my hometown of Boca Raton. I believe that spending time and giving individualized attention to each patient is the key to keeping them healthy and avoiding unnecessary visits to a specialist or a hospital. As an advocate for my patients, I believe that everyone deserves access to quality healthcare. Through our model of concierge medical care in Boca Raton, patients receive excellent care at a significantly reduced cost. We remove the middle man, the insurance company. 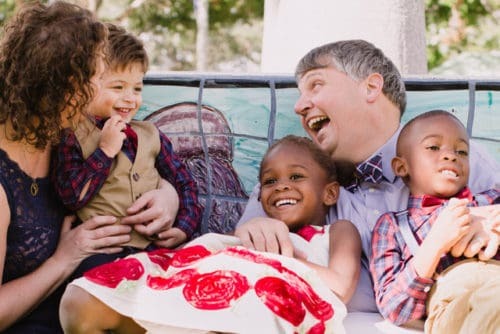 My husband and I are foster and adoptive parents of 4 children. 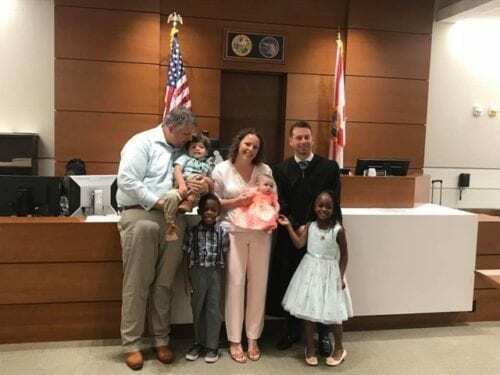 We started fostering 4 years ago with 4Kids of South Florida and have had several children join our family. Currently, we have a 6yr, 5yr, 2yr, and 3 month old! Being a business owner takes a lot of work and time. But ultimately, I am able to put my family first, while still have a thriving medical practice. There, I am able to do what I am passionate about..caring for people! 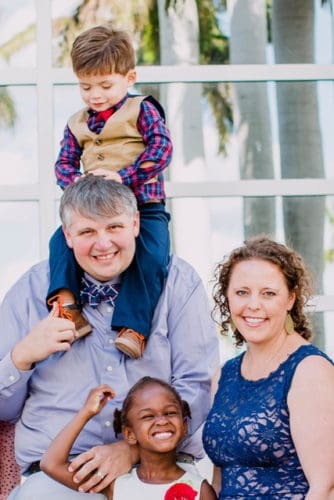 I also believe that having children has helped me connect with families and understand how to better help them with their health. What have been some challenges you have faced while owning a practice that has concierge medical care in Boca Raton? I was a Family Nurse Practitioner for several years in a typical insurance-based office. But over time, I saw changes with insurance negatively impact patients and their providers. I was frustrated with the inflation of health care costs and crunched time slots to see patients and wanted to provide a better solution. Basically, I was looking for a health care model that would allow me to have a direct relationship with my patients. It also needed to cut out any unnecessary costs or red tape. I learned about Direct Primary Care and attended a national convention where I was amazed at find that many other providers just like me decided to take the jump and do something radical with their medical practice. In the course of 6 months, my husband Jody Huerta and I were able to open the first Direct Primary Care practice in Palm Beach County! What’s unique about Direct Primary Care? 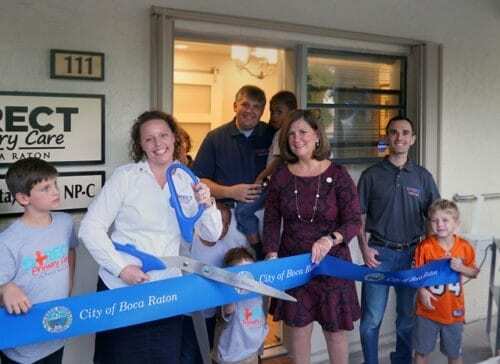 Direct Primary Care of Boca Raton is unique because it puts the patient and the provider back in the driver’s seat of controlling their health care. Our concierge medical care in Boca Raton model allows patients to have a affordable monthly membership (that they pay directly to their provider) that doesn’t break the bank. There are no long term contracts or need to pay for several months up front. Our office does not bill or accept any insurance plans. Although many of our patients do have some form of insurance to cover them in the event of a major medical emergency. What is included in the concierge medical care in Boca Raton membership fee? With their monthly membership fee, DPC members can come in as many times as needed with no additional co-pays or deductibles. They also receive 24/7 access (health care needs don’t just happen on weekdays between the hours of 9-5!). Our practice also boasts a HIPPA compliant telemedicine option for those traveling or who are unable to come to the office. I am also able to travel to patient’s homes for a small fee. DPC Members also have access to discounted labs and medications which are available onsite. If someone comes in and needs a prescription for a antibiotic, for example, they are actually able to leave the office with it in hand. Patients are also given ample time for their appointments so you never feel rushed. 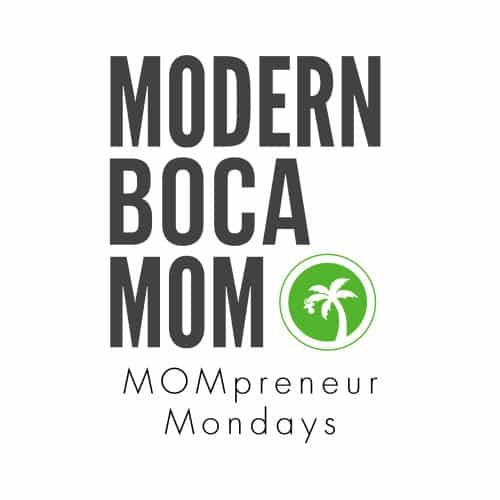 Why should Modern Boca Mom readers become your patients? I’m really grateful to be able to share DPC Boca with your readers because I think that this is the type of Primary Care that most people are looking for. Our patients are not a number or file. They are an individual who has access to call at any time and reach their provider. I have patients ranging all the way to geriatric in age. Those with insurance and those without. Those with no medical history and those who have chronic diseases that require close follow up. The beauty of the concierge medical care in Boca Raton model is it allows for individualized health care and is unhindered by third party organizations. Our practice also works really well for other small businesses as they often are not able to provide health care options due to cost. 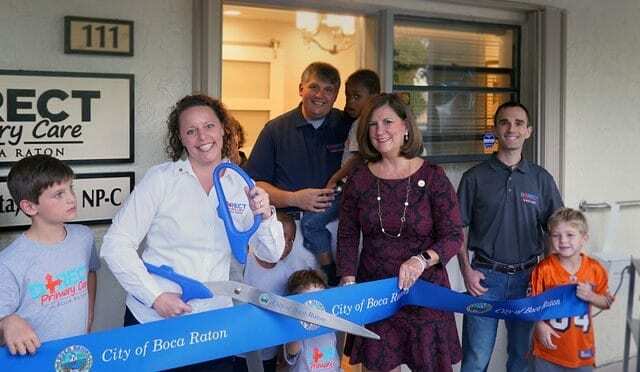 What exciting things are coming up for DPC Boca? We are excited to be 5 months into our new business and growing concierge medical care in Boca Raton quickly! 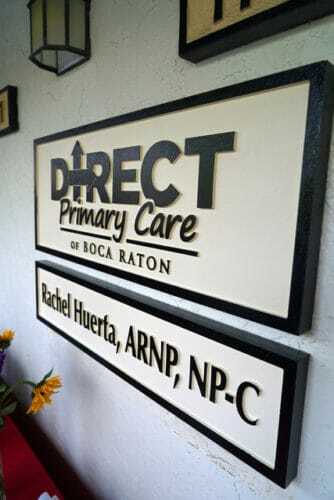 DPC Boca looks forward to adding an additional provider to the practice by the end of the year. We are also excited as new legislation was just passed in the Florida House and Senate which clearly defines Direct Primary Care and keeps us from being misunderstood as medical insurance. I grew up in South Florida and absolutely love the sunshine and blue skies! I love to be on or near the water and all the time think how amazing it is to live in this gorgeous area. We also love that there is so much diversity in South Florida. Working in our area has allowed me to help many patients of different national origins. Nothing is monotonous here! We are also very blessed to have so many resources. From great hospitals to medical providers, we have top trained professionals coming to live here. 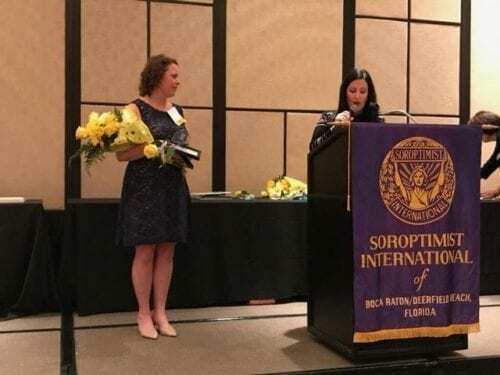 Rachel recently won the Healthcare Woman of Distinction Award at the 2017 Soroptomist Woman of Distinction Breakfast. This prestigious award, presented to only one healthcare provider annually, was in recognition of her leadership and volunteerism both locally and abroad. Previous PostMOMpreneur Monday: SealedBy.comNext PostMy Baby Got her Ears Pierced!